The #1 sports drink holds the first-ever Gatorade Run in Manila happening on November 22, 2015 at SM Mall of Asia grounds in Pasay City. 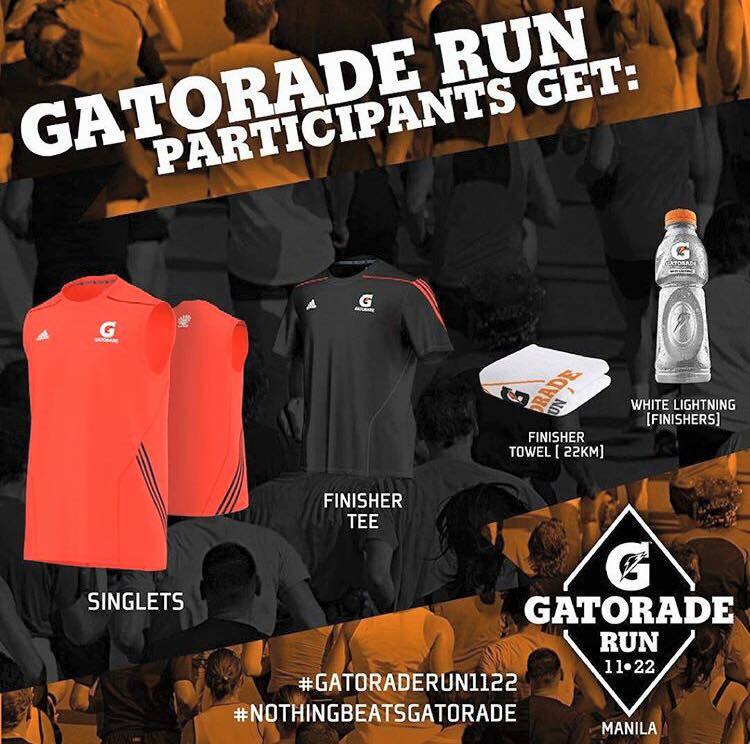 There are 2 categories open: 11k & 22k. 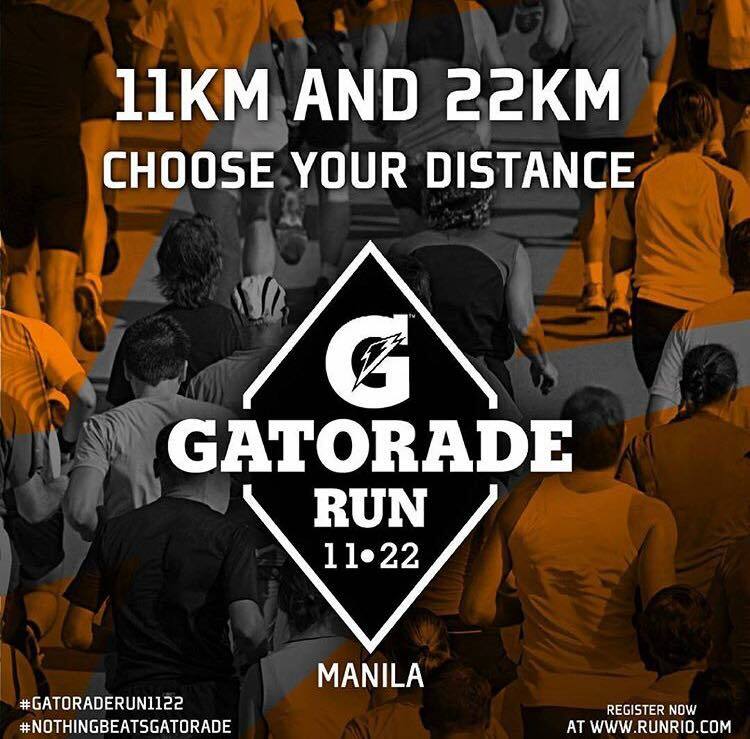 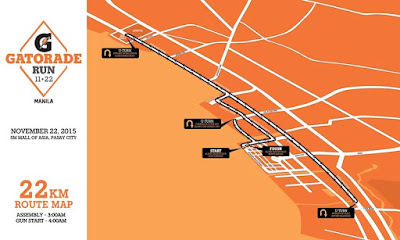 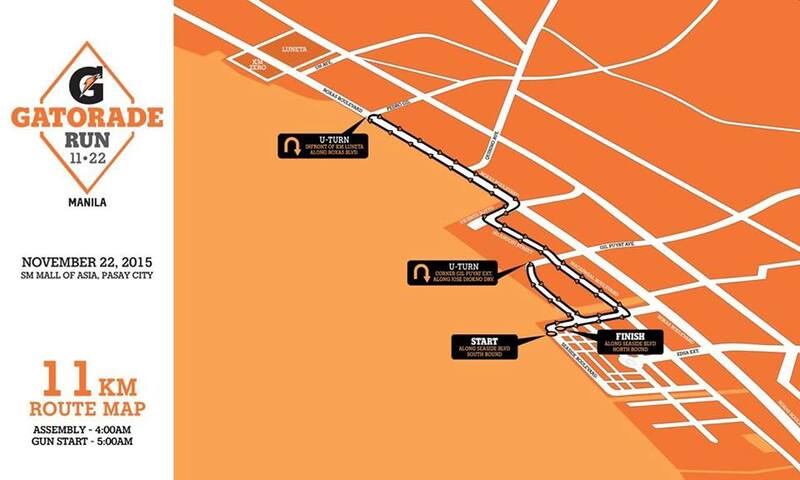 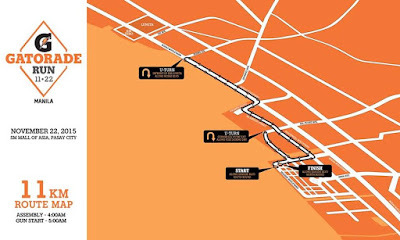 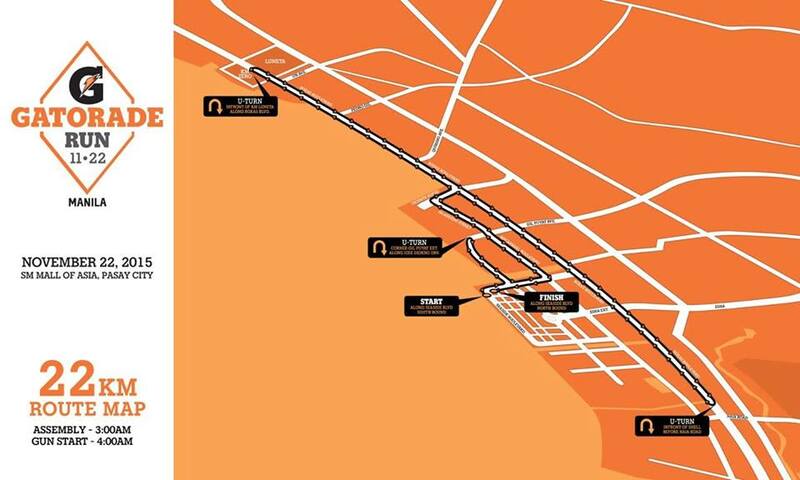 The race distances are actually based on the race date: 11 - 22 (November 22). Note: Race kit claiming will be on November 16-19 from Monday to Thursdayfrom 12nn-8pm at your chosen store.